Decorating small homes feels such a challenging task. You need to have all your essential items neatly tucked into various corners of your home. Besides, there should be ample breathing space. Neither you nor your guests would love bumping into articles of furniture or décor. Finding excellent storage solution is another big concern. However, you would agree that there is no fun accomplishing tasks that don’t have minor challenges involved in it. So brace yourself to bring in some positive changes in the interior of your home. 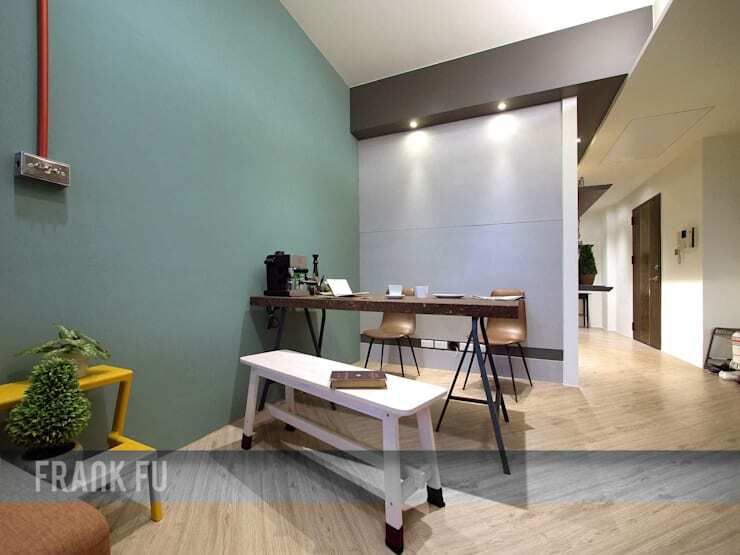 This 40 square metre apartment that we are going to show you shortly will leave you with lots of ideas. Your hallway decor should always be inviting. A cluttered and untidy hallway always gives rise to uneasy feelings in those who come to visit the apartment. Before the redecoration of the apartment, this space was lacklustre and in want of life. The tiled flooring did not improve the look of the space either. So the interior designer has entirely changed the flooring. The walls that were empty before have been adorned with chic shelving systems. The dark brown shelves not only extend the storage area of the apartment, but also help to glamourise the space. They are decked up with small objects of arts and artificial plants. The living room had a similar look as that of the hallway. However, it had an access to a small terrace area. The structure was strong and the space tidy. With the help of a brand new colour scheme, fresh laminated flooring and brand new furniture the designer has given the room a new lease of life. Find out some top ways of decorating a small home. Enjoy a full view of the open plan living room. Though small in size, it does not lack style or comfort. The feature wall has been revived with a dark green colour. The creamy tone of the rest of the rooms makes it look brighter and more cheery. A small sofa upholstered in orange colour fabric and a chic corner table make the room feel even more pleasant. The dining room is located on the other section of the living room. It is decorated with a couple of chairs, a small bench and a slim dining table. The arrangement of furniture has been conceived keeping the availability of space in mind. Ceiling mounted LED lighting helps to keep the space illuminated. Adequate lighting is necessary to design a comfortable and expansive looking home. The cosy style of the terrace is bound to leave you inspired. Large French doors ensure that the area gets ample amount of natural light which is important to maintain the hygiene of the entire apartment. Colourful curtains made of solid and sheer fabric help the owners to regulate the amount of sunlight in the area and also maintain the privacy of the home. Apart from a lightweight chair, the terrace is decorated with a plush rug. Unlike the interior of the apartment, this space is decorated with a dark colour scheme. 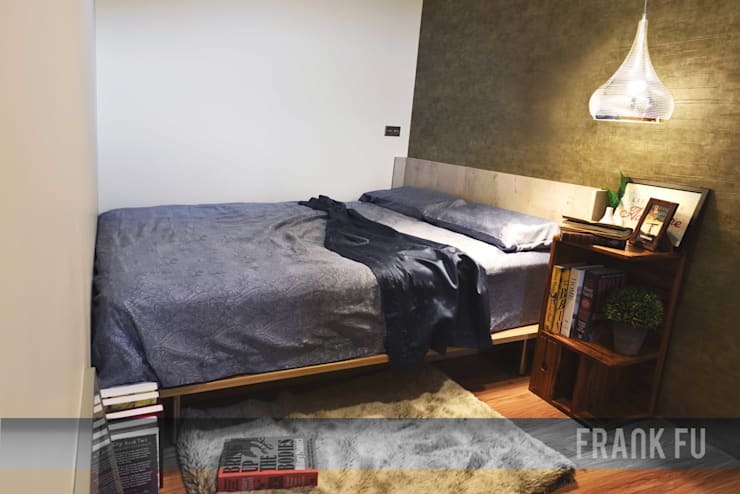 Now you get the opportunity to have a glimpse of the tiny bedroom with a cosy style. It is decorated with a simple platform bed. A retro style nightstand has been placed beside it. Check pendant lighting fixture acts as a beautiful decorative object. Needless to say, it also manages to sufficiently brighten up this small room. A plush area rug helps to keep the feet warm. Check out this contemporary family home with a retro decor. 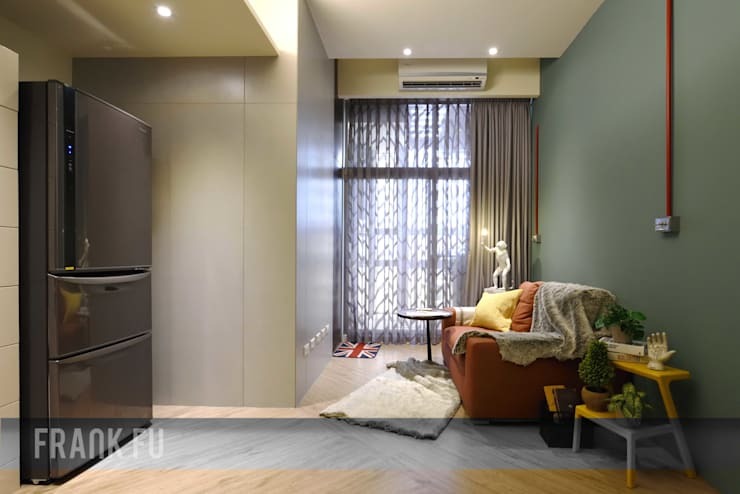 Which particular feature of this small apartment did you find most interesting?